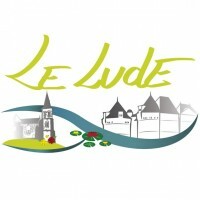 The city of Lude offers you a family treasure hunt composed of 12 stages, in the heart of the city centre to make you discover its heritage, its history and its shopkeepers. Travel back in time to the year 1479 and meet Jean Gendrot, a famous architect, who lost his plans to rebuild the Château du Lude. Go explore the streets and find Jean's sketches so he can present them to the owner of the castle! Are you ready for the adventure? Go to the doors of the castle and click on "download" and "start". Point de départ Château du Lude.